Drake's label, OVO Sound, is preparing to take over the fall season. Earlier this summer, the Canadian collective revealed the exciting news that a handful of artists on their roster will be releasing new projects before 2017 wraps--save for, interestingly enough, the label boss himself. After teasing their upcoming second studio album with two beautifully directed trailers, OVO signees dvsn have shared that the project will officially see an October 13th release. If the Toronto duo's roll-out has been any indication, their sophomore record, Morning After, looks like it will be quite the cinematic affair, with the group sharing several stunning visuals to help build anticipation. In fact, such an emphasis has been placed on the visual aspect of their promotional campaign that those who haven't been following the group closely may even think the visuals are teasing an upcoming horror film, as opposed to new music. 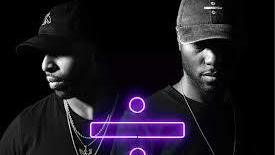 Back in March of 2016, dvsn released their first full-length, Sept. 5th, to critical acclaim, even topping REVOLT's list recapping the strongest debut releases of the year. Needless to say, fans are eager to see what the duo will come up with next. Take a look at the group's latest release, "Mood," below and be sure to mark your calendars for October 13th. DVSN release their newest video "Morning After"